Weldable Webbing, Custom Straps And Surplus Seat Belt Distribution | Louis A. Green Corp. Founded by the late Louis Green soon after WWII, Louis A. Green Corp. has been in the webbing business for over 60 years and supplies industrial webbing and custom straps to a wide range of customers worldwide. Our production department has changed from handling small shop runs to focusing on higher volume production of industrial straps. We are equipped with computerized webbing cutters and sewing machines. Manufacturing and warehouse operations are supported by an experienced, in-house engineering staff. Louis A. Green Corp. now sells top quality specialty textiles and narrow fabrics in North America as a marketing partner for international manufacturers. We maintain sales and distribution relationships with companies throughout the country. We have supplied surplus military webbings, seat belt webbing and polyester webbings, as well as a standard line of colors in 1″ commercial nylon & polypropylene webbing, plus metal & plastic webbing hardware. We carry a large webbing inventory, and our experience in the business allows us to locate hard-to-find webbings, both military specification and commercial grades for special orders. 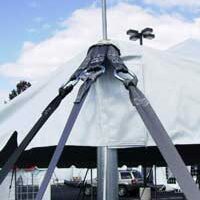 Specialty products currently stocked include unique items such as: PVC-coated “Weldable Webbing” and weldable hook & loop. We have served the needs of a wide range of customers, from small retail fabric shops that purchase a roll or two of webbing every year, to large industrial concerns that purchase materials by the case of cut lengths of webbing, to pallets of bulk rolls. 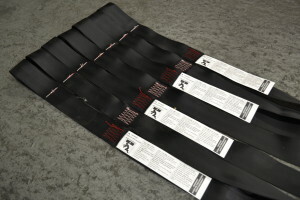 We have produced hundreds of different types of custom straps, with many types of hardware and stitching configurations. We work with industrial designers and engineers to create many kinds of straps. Our primary emphasis is on one-way packaging and other industrial applications. 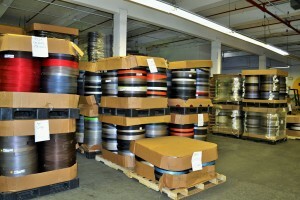 We also have a subsidiary Wicking Products Co.- Stretch and Woven Roll Wicking for the Retread Tire Industry.